Hello! 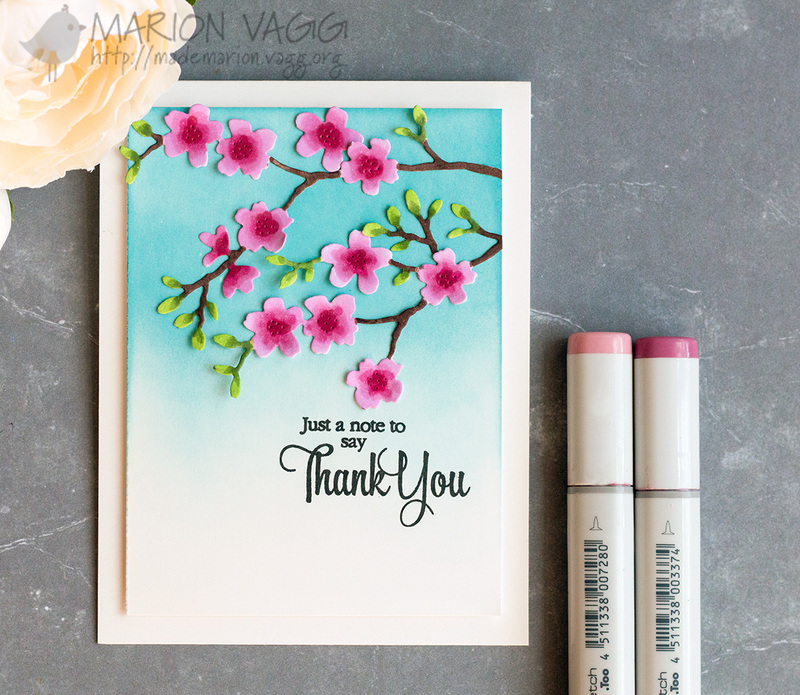 Today I have a sneak peek of my card that is over on the Penny Black Simplicity at its Best blog. I hope you will head on over and check it out. And when you are there you’ll find not one, but two cards – the second has been created by another Simplicity Sister – Milla. Hello again! 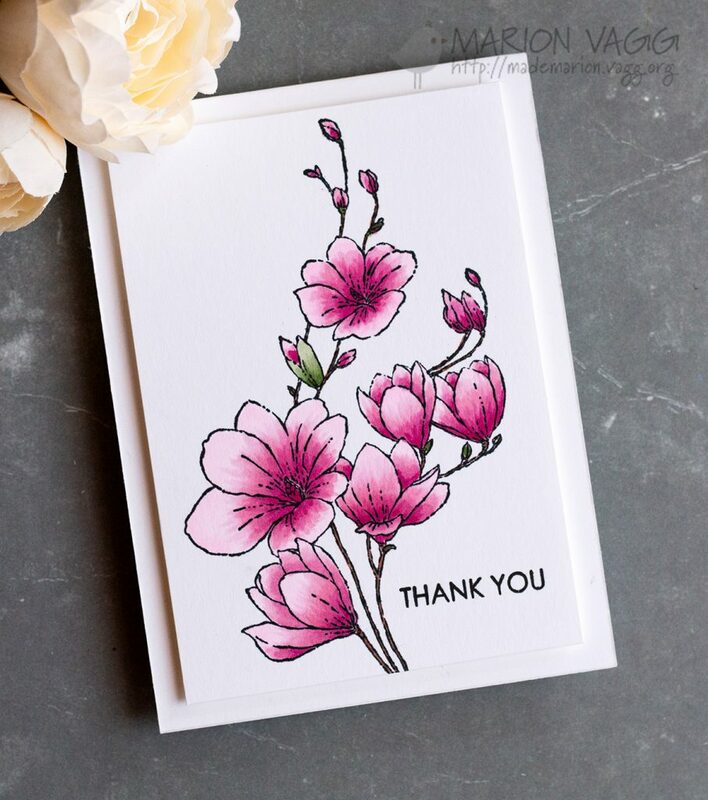 I’m back with my second card using some of the awesome Penny Black products from their latest catalogue called Sweet Spring. 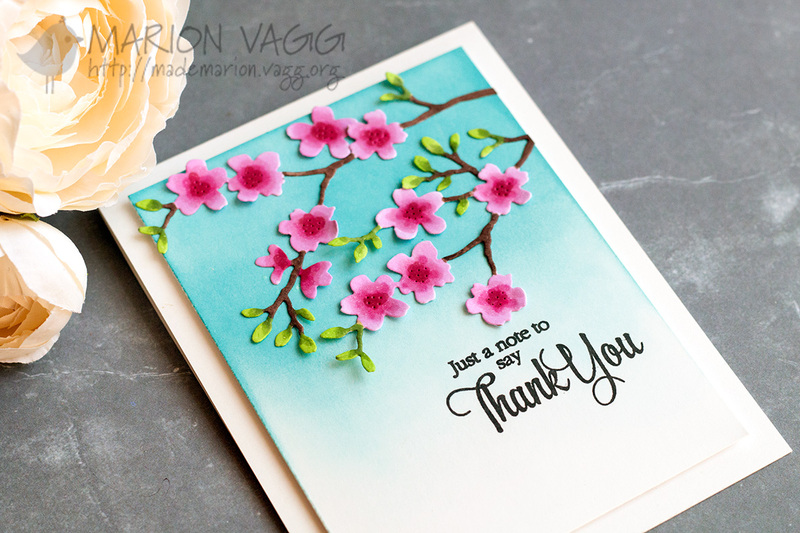 Today’s card features a beautiful creative die called Cherry Blossom. Cherry blossoms are so pretty – one day I would love to go and see them in all their glory in Japan. After cutting a panel from Strathmore Bristol smooth white card stock, I blended on some blue ink with an inking blending tool. I die cut several cherry blossoms and coloured them with Copic markers before adhering them to the panel. The sentiment is from an older Penny Black set called Sentiment Collection. I then 3D mounted the focal panel onto a white card base. Thanks for joining me. I’ll be back real soon. Hello! Today I have a project up on the Simplicity at its Best blog. I had fun playing around with my Distress Markers (which I haven’t used in ages) and created a water coloured card without needing any skills in how to water colour! Check it out the card with instructions here. I’ve used a beautiful slapstick/cling stamp called Sunbursts. Hello. I hope you are having a great week. 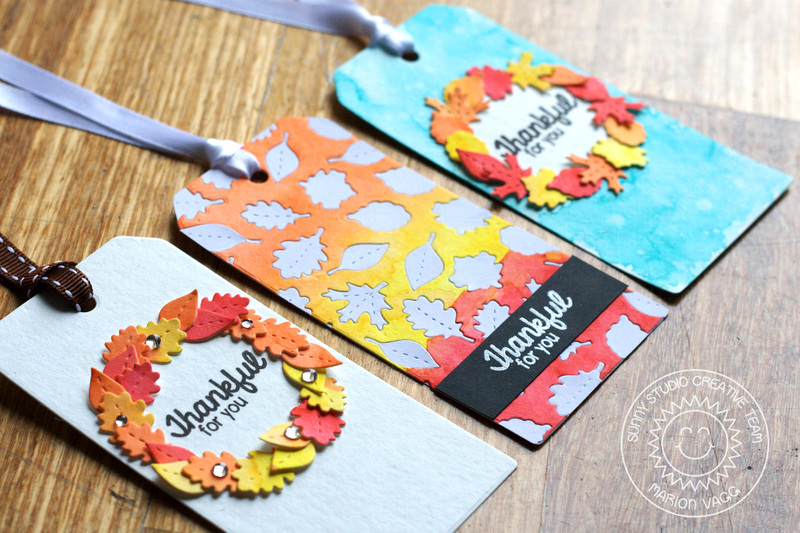 Today I’m sharing some tags that are up on the Sunny Studios Blog using the Harvest Happiness stamp set and the coordinating dies. I love making tags as they are quick and easy projects. We don’t have Thanksgiving in Australia, but I love the idea of taking time out to be thankful for the many blessings in our lives. 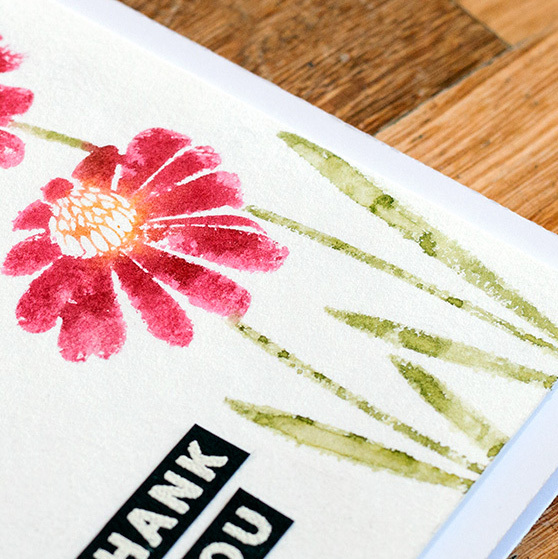 Tags are a really simple way to say thank you and easy to attach to gifts such as a bunch of flowers or a treat bag filled with yummy goodness. Let’s face it, we all like being thanked! The first two tags are very similar, except the first one has a blue watercolour wash around the wreath (Salty Ocean and Peacock Feathers Distress Ink). I started the tags by water colouring a panel of Strathmore watercolour paper with different colours of distress ink (Festive Berries, Mustard Seed and Ripe Persimmon). 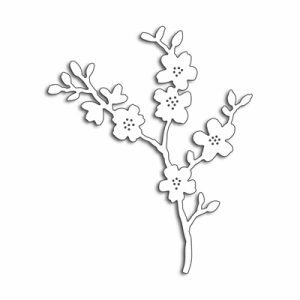 Once dry, I used the small leaf dies from the Harvest Happiness die set, and ran them through my die cutting machine several times. To create the wreaths, I drew a circle in pencil to act as a guide (head to the Sunny Studio blog where I show a photo of this). Before adhering the leaves into position, I stamped the sentiment. I added some gems to the second wreath to add some shine. 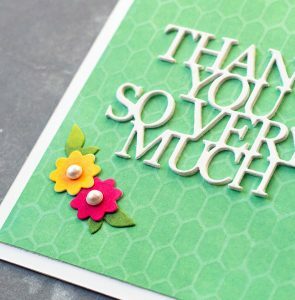 This last tag was created using the negative die cut panel from the first two tags. I did have to die cut a whole lot of white leaves which I then inlaid into the panel. It was good to make a third tag with the scraps from the first two! Other Supplies: Sunny Studio Harvest Happiness dies, Penny Black Tagged die, Cuttlebug, AnnaBelle Stamps clear Sprinkles, Glossy Accents (to adhere sprinkles), Paintbrush, Ribbon from my stash.